DETROIT -- The Jeep brand and the Chrysler 200 both helped push Fiat Chrysler’s June sales up 8.2 percent, the automaker’s best sales for the month of June since 2006. FCA US said it had 185,035 sales in June, its 63rd consecutive month of year-over-year sales gains. Three of its five brands -- Chrysler, Jeep and Ram -- posted sales gains for the month, while sales of Dodge and Fiat brands fell sharply. Chrysler brand sales were up 28 percent in June on the continued strength of the Chrysler 200 sedan, which more than doubled its sales from a year ago when the current redesign was first appearing in showrooms. Sales of the 200 set a record for the month of June, one of six vehicles in the lineup to set records for June sales. A seventh vehicle, the Dodge Journey, had its best-ever sales month. Jeep brand sales climbed 25 percent to post a record for June sales. The Wrangler, Cherokee and Patriot all posted their highest-ever sales for the month of June, while the new Renegade outsold the Compass for the third consecutive month. Ram brand sales climbed 2.3 percent last month, with the Ram ProMaster commercial van recording its best-ever June sales. Sales of the Ram pickup were up 0.6 percent. The brand is selling down remaining copies of its Ram C/V commercial minivan, which has ended production. Dodge brand sales declined 14 percent for the month, despite Journey posting its best sales for any month and Challenger setting a record for June sales. Fiat brand sales plummeted 30 percent in June, led by a 54 percent decline in sales of the 500L five-door hatchback. The brand sold 324 of its new 500X crossovers, which shares many underpinnings with the Jeep Renegade. Alfa Romeo sold just 25 of its 4C coupes in the United States in June. 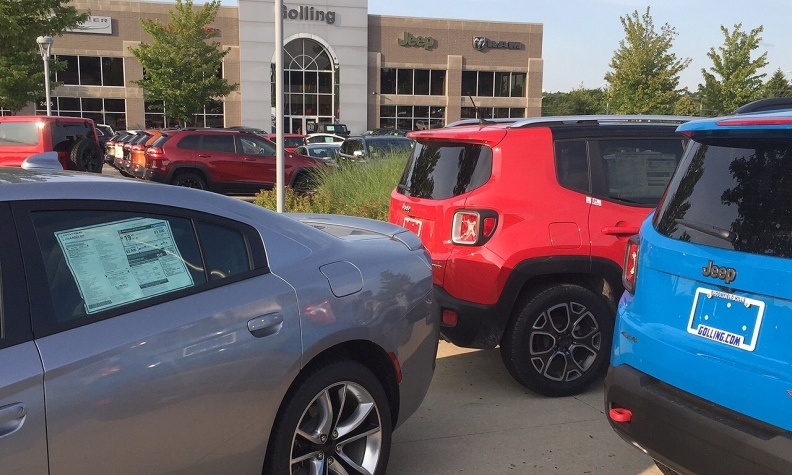 FCA said it finished the month with a 78-day supply of unsold inventory on-hand.